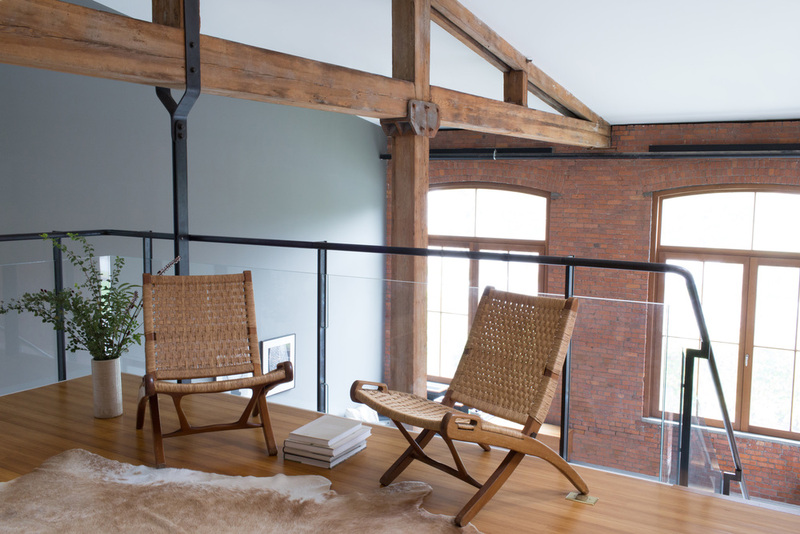 This loft renovation, in a converted industrial building, was originally built without regard for light penetration, and the stair to a small mezzanine severed the space. Downstairs we moved the stair, opened the plan, and added storage and a guest bedroom. 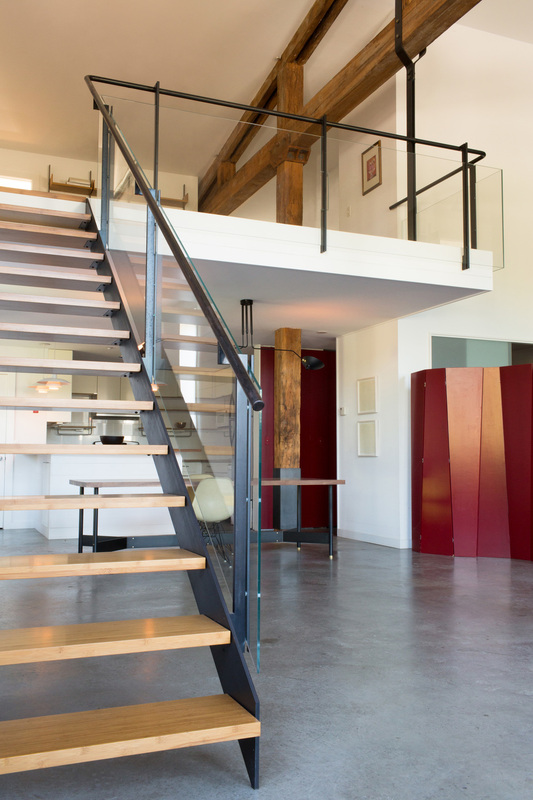 Upstairs we extended the mezzanine and added a bathroom and several windows, turning what had been a sleeping loft into light and airy living space. 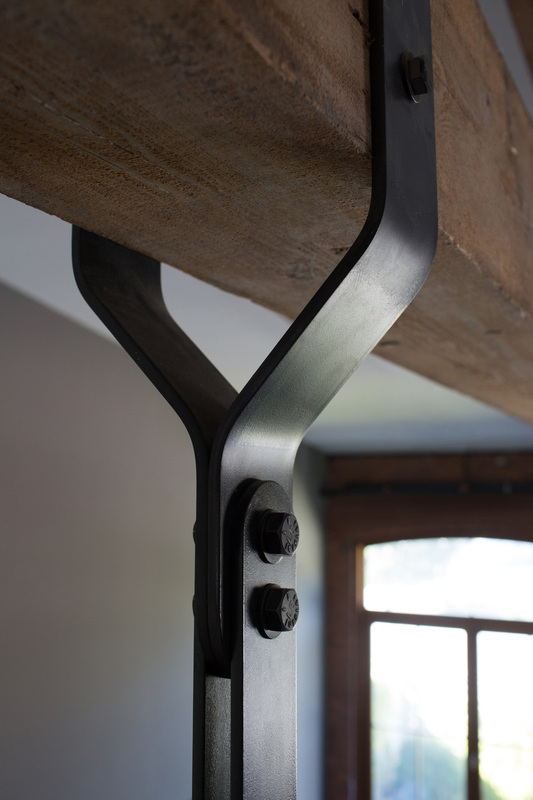 We redesigned the mezzanine to hang from the massive timber-frame structure, further opening the space below. 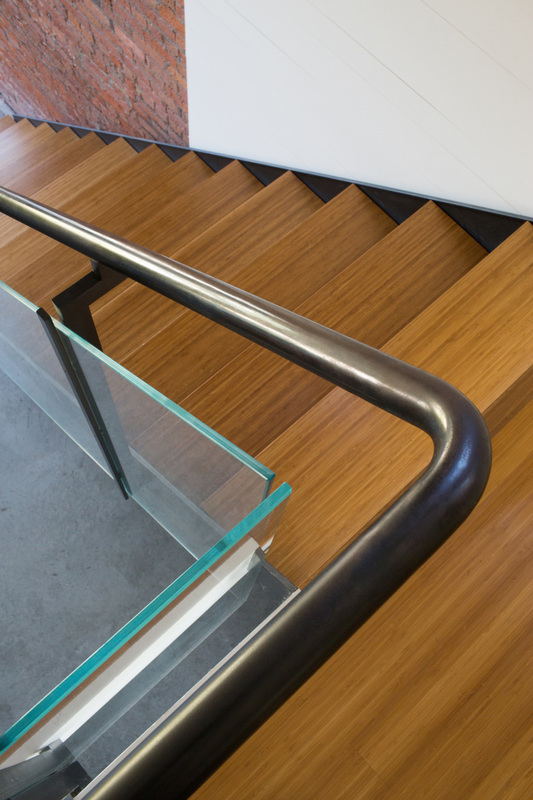 The stair, steel and glass guardrail, and numerous other built-in elements were fabricated in-house.